Obverse: On the left and right side depicted the face value in arabic numerals "50". 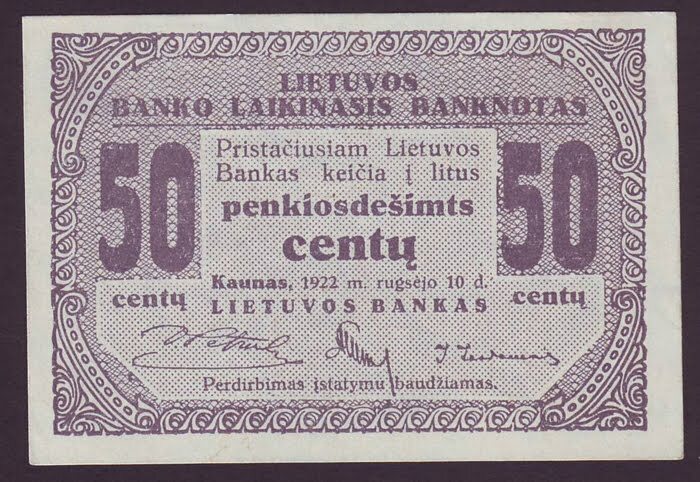 The face value in words "Penkiosdešimt Centų" (Fifty Cents) at center. 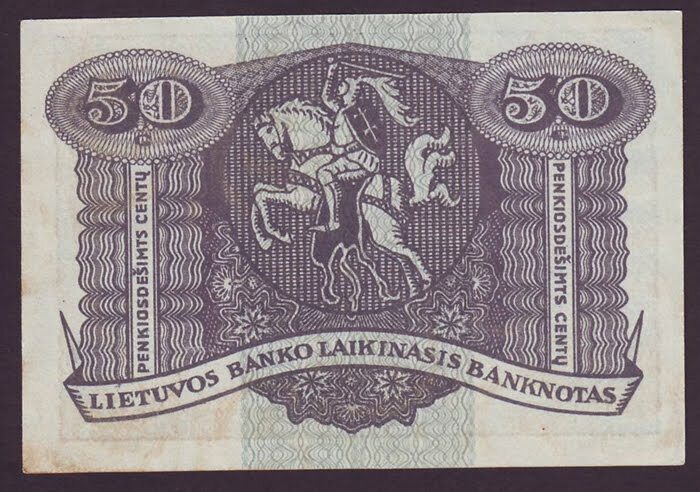 Reverse: Coat of arms of Lithuania, consisting of an armour-clad knight on horseback holding a sword and shield, is also known as Vytis at center. The face value in arabic numerals "50" and in words "Penkiosdešimt Centų" (Fifty Cents) in ornate guilloche at left and right.